Northern Basement Systems has recently been awarded at the Team Basement Systems International Convention. Northern Basement Systems was recently honored at a meeting with close to 1,000 guests from all over the United States, Canada and the UK, at this year’s Team Basement Systems Convention. The annual convention is held each year between Seymour, CT, (Basement Systems headquarters) and Hartford, CT, and brings together dealerships of the international network for training, seminars, networking, celebration, vendor and team building events. This year Northern Basement Systems received an award at the Team Basement Systems International Convention. Northern Basement Systems was awarded for ranking in the Top 50 Basement Systems Dealers by Purchases. The high-powered event featured international motivational speaker Andy Andrews! Andrews, world-renowned speaker and author (The Travelers Gift) dazzled the crowd with his presentation highlighting personal choices and attitudes that make the difference between failure and success. Google even had a presence at this spectacular event! Two Google representatives delivered a behind the scenes peek at how to best utilize the search engines tools for successful business results! This year, the annual flagship event was the BEST yet! 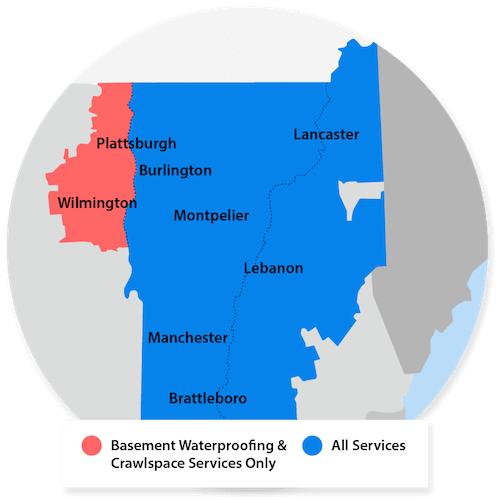 Northern Basement Systems is a certified Basement Systems dealer specializing in basement waterproofing, crawl space repair and foundation settlement. Basement Systems is an international network of basement waterproofing, crawl space repair and basement finishing contractors, led by Company Founder and President, Larry Janesky. The international headquarters, based in Seymour, CT has been helping homeowners increase their usable living space for over 20 years across the United States, Canada, Ireland and the United Kingdom. The company has over 27-patented basement and crawl space products, designed to help homeowners get more out of their basements and increase their home's value.